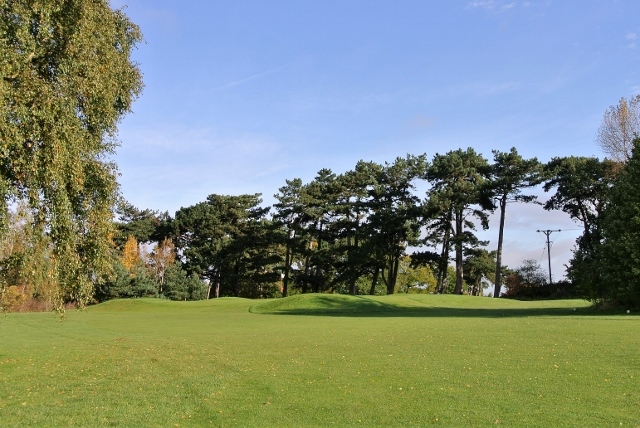 The Commanders course layout consists of 18 separate tees to 9 greens providing a range of playing options including a 27hole card when combined with the Admirals course. 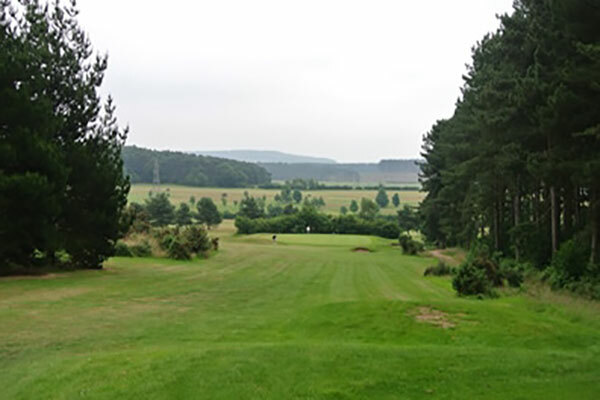 Much care and time has been invested in the natural heathland landscape with trees, gorse, heather and hedgerow to establish an interesting and challenging layout for players of all standards. Nice opening par 4, lined with pines to the right and a fairway bunker protecting the left side. The perfect start to the round (after your tee shot hits the fairway that is!). Nicely banked green which slopes right to left. A relatively easy downhill par 3. A good shot can be pitched all the way to the green and even a miss hit ball may get lucky and roll all the way down to the green and, who knows, even give a putt for a birdie 2. Much kinder hole from this forward tee, easier to take a nice chunk off the dog leg but be careful not to hit too straight and run out of space and go out of bounds. Green slopes severely left to right so be careful you don’t leave yourself above the hole. Nice short par 3 but don’t relax too soon as a slight pull to the left will get you into a world of trouble. You’d best err to the right and hope for a ‘members bounce’ back towards the flag. A dog- leg par 5. Ideally you need to drive the ball down the left- hand side avoiding the fairway bunker. 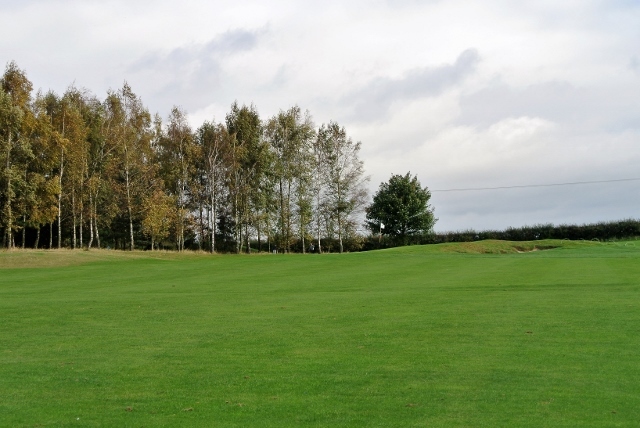 This sets you up for a straightforward second shot with the fairway sloping left to right. Be careful with your approach shot due to the two-tiered McKenzie green. 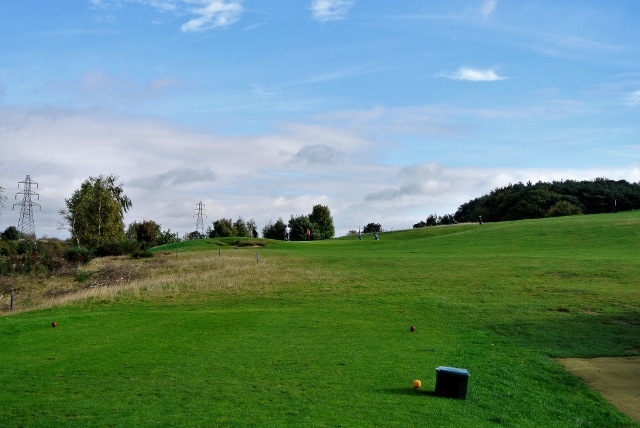 Keep your drive up to the left because the hill falls away to the right towards the Out of Bounds markers. Lay up to the pond for your second shot and the green dog legs uphill to the right. 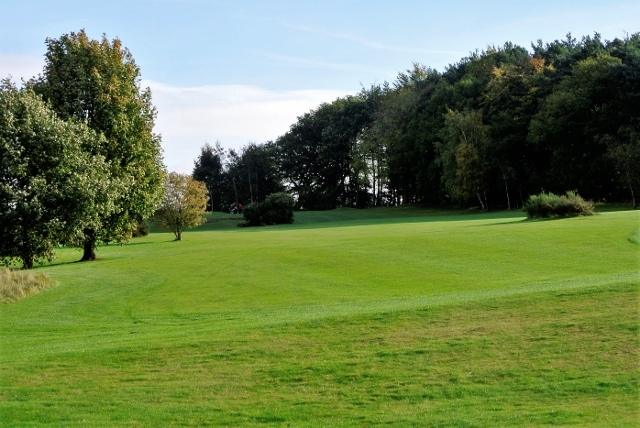 Another very quick sloping green so be careful you don’t leave you ball above the hole. Difficult par 3, protected by a bunker on the right. Even if you hit the green you’re problems aren’t over due to the undulating green. If you hit it long you will leave yourself a treacherous downhill chip. Short dog leg right to finish the 9. 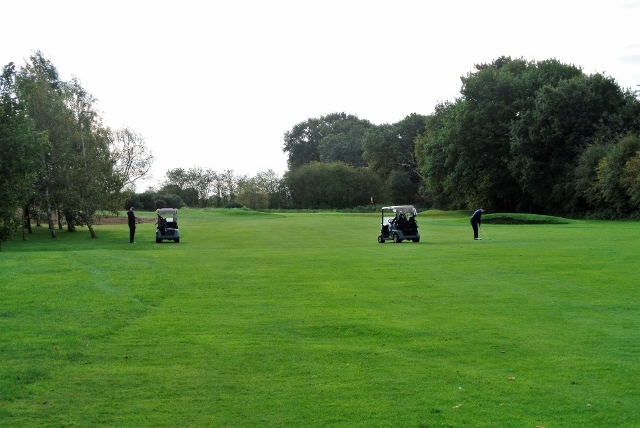 The longer hitters may fancy a rip at the green here but be careful as out of bounds for the errant drive lies awaiting. Although only a flick on to the green , its quite an intimidating shot hitting over the gorse bushes, although landing on a generous sized green. From this back tee this is a tough dog leg left par 4. Don’t try to take too much off the corner as you could get blocked out by trees. Bunkers to the right prevent you from playing too safe and the second shot slopes to the right towards the out of bounds, so be careful with your approach. Not such an easy tee shot from this higher right hand tee position. The fairway runs away from you and there are a couple of gorse bushes that might catch the unlucky bounce . 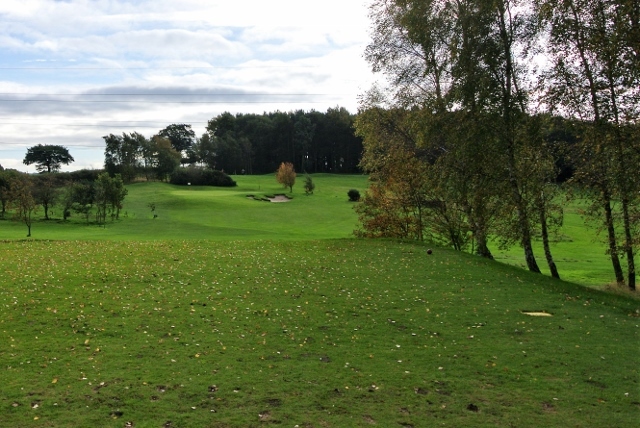 Similar in length to the 6th although your tee shot is slightly straighter but other than that the approach shots will be similar. A dog- leg par 5. Ideally you need to drive the ball down the left hand side avoiding the fairway bunker. 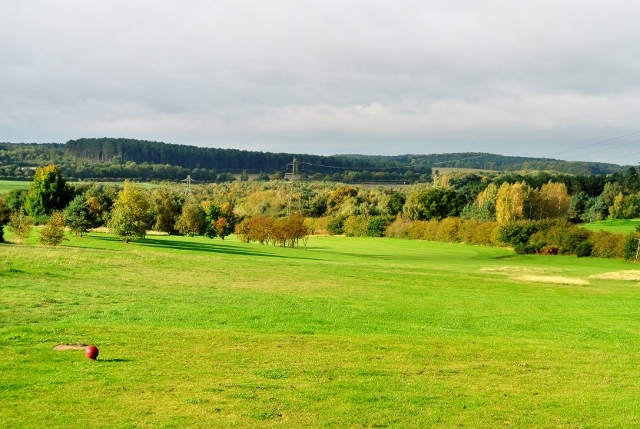 This sets you up for a straightforward second shot with the fairway sloping left to right. Be careful with your approach shot due to the two-tiered McKenzie green. For the slicer this is amuch more intimidating drive from this tee as the trees on the left encroach and the left to right fairway slopes towards the out of bounds. Now would be a good time to remember that lesson with your Pro who told you to release your right hand to reduce that slice. Look out Auntie and hold onto your hat! This is not a par 3 for the faint hearted. 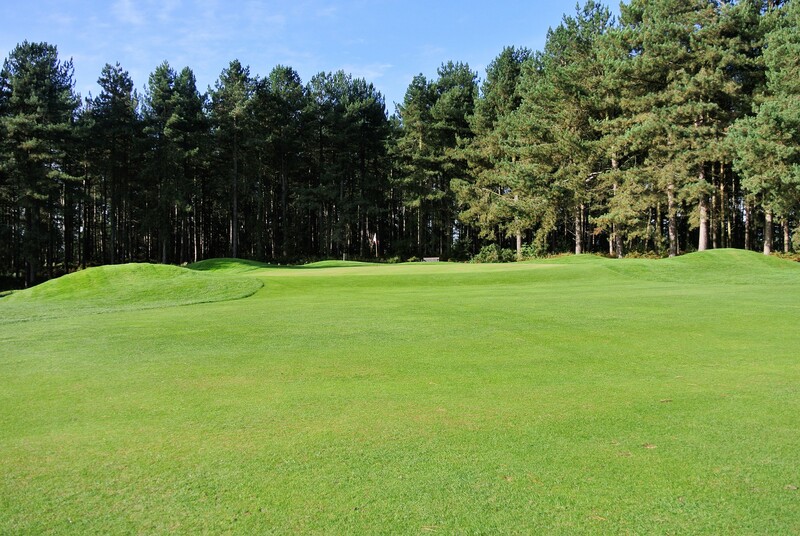 Across the valley to a well guarded undulating green, the cautious will play it as a par 4 and lay up to the right but you haven’t come to Oakmere to lay up at the 17th. Get the big dog out and fire one onto the green, it’s a shot you’ll be telling your grand kids about. Having the tee 40 yards further back makes such a difference to this hole. Only the really big hitters will try to carry the hedge and go for the green. Most lesser mortals will try to lay up with an iron because right is out of bounds and left is thick gorse. Great matchplay hole, you can imagine if the match decides on ths one your heart will be pounding as you set foot on the tee box.